Around two weeks ago, Spydersvenom – fellow writer of words and game guru-in-training over at Gaming History 101 – posted an article entitled ‘Adventure Gaming is Dead’, a depressingly well-written piece that dragged one of my most cherished genres out into the back yard, forced me to make eye contact, and then shot it in the face. If my recent bit on Silent Hill 2 didn’t tip you off, I become woefully sensitive if you criticise the object of whatever flavour-of-the-week nostalgia trip I happen to be on, and my reaction to this article proved no exception. Such is my devotion to the adventure genre, I’ve spent the last few days listening to Bobby Bland and crying myself into a stupor, stopping only to curse Spydersvenom’s name into the sky at chosen intervals. You see, his argument is one that I’ve come across a few times before in my blind fandom, and it’s one that I’ve never really been able to counter. As he notes, even Ron Gilbert – the crowned king of adventure gaming – has been dismissive of the genre since the late 80’s; even more so in the wake of its disappearance from the public eye in the 90’s. ‘Adventure gaming is dead’ is a phrase I’ve come to embrace, as if I were the last man on a sinking ship; the resolute captain going down with his vessel, if just to fill the shoes of Captain Ron Gilbert, who took the life boats to shore over ten years ago. Funnily enough, however, given years to consider what the genre means to me – to study its praises and derisions in equal measure – I think Spydersvenom’s article helped me realise that adventure gaming should be more alive than ever. Heck, dare I say it: that it is more alive than ever. Before I begin though, it’s worth considering what comprises the ‘death’ of a genre, and as far as I understand it under Spydersvenom’s terms, adventure gaming’s death is far from clinical. As he states, ‘there’s a place for adventure games, but it’s a tight niche’, implying that the genre’s proposed demise doesn’t necessarily discredit the works of studios like Wadjet Eye, who are doing wonders within the constraints of the ‘classic’ adventure game set-up. Instead, Spydersvenom (from here on in referred to as SV) presents the argument that adventure gaming’s bereavement denotes its severance from mainstream interests. It’s a compelling argument, too. Traditional adventure games have hardly been topping the charts as of late. Take, for example, The Journey Down, The Book of Unwritten Tales and Gemini Rue: all great adventure games in the most traditional sense, all released in the last ten years, and all of which have remained cult experiences; stories shared between a relative few. If we’re willing to accept that this is all the scene has to offer, then by all means, adventure gaming is nigh-on skeletal by this point. Before we lower the coffin into the ground, however, I think it’s worth considering whether games like The Journey Down are even representative of the genre in 2012. Surely, a few independent releases can’t be all that remains? As much as I hate to admit it, my chief argument against the death of adventure gaming is a semantic one. What is an ‘adventure game’ these days, anyway? 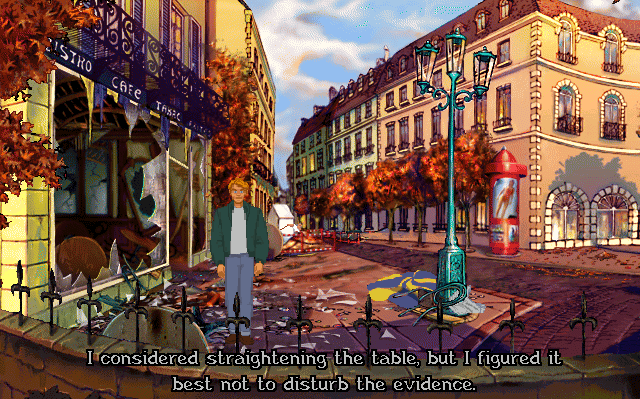 SV’s criticisms pinpoint ‘a slew of games that had fail states, missed items, or scenarios that prevent you from moving forward in the game, hidden clues, impossible puzzles, and plenty more to complain about’; problems shared by the likes of Maniac Mansion, Zak McCracken and Gabriel Knight, or rather, the initial surge of adventure games operating under the ‘point and click’ umbrella. I would argue, however, that this is only a small section of the scene as a whole. The boundaries of adventure gaming are ill-defined at best, and it seems that the common interpretation of the genre is far too constrictive; bound only to experiences that directly echo Lucasart’s work with the SCUMM engine back in the early nineties. From the common perspective, if a work attempts to alleviate the genre’s concerns, it ceases to become an adventure game. Adventure Gamers – one of the more prominent sites dedicated to the adventure scene – defines adventure games as those with a ‘focus on puzzle solving within a narrative framework, generally with few or no action elements’, noting that the point-and-click adventure represents ‘only part of a much broader, diverse range of games’. Similarly, Pearson Education’s glossary of gaming terms identifies an adventure game as ‘an interactive story in which the player takes the role of the protagonist’, in which ‘puzzle solving and conceptual reasoning challenges form the majority of the gameplay’, and under these criteria, we can begin to see where the genre has gone in recent years. 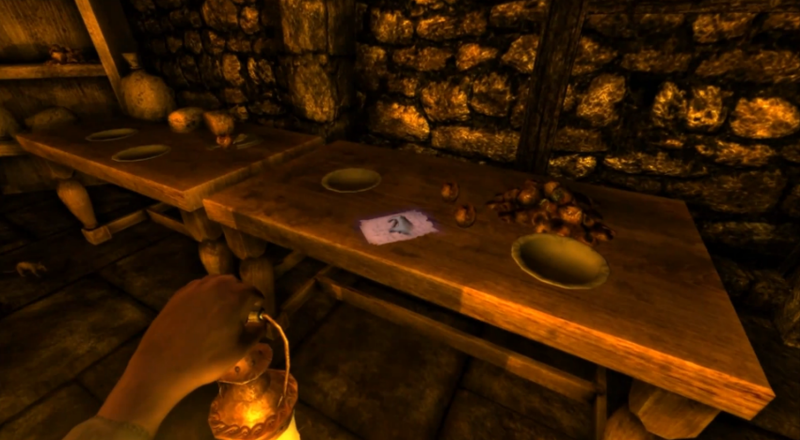 Amnesia: The Dark Descent, for example, is one of the more prominent independent releases of the last few years, and it fits the given definitions perfectly – to the point that it comes with its fair share of dyed-in-the-wool adventure tropes; from backtracking puzzles to the age-old ‘use X on Y’ bit. Similarly, the Dreamcast’s much beloved martyr, Shenmue, is often noted for its invigorated take on the adventure genre, and in turn, is cited for its influence over almost every open-world game since. Heck, look at the likes of Portal, or even the Professor Layton series, both of which also adhere to the genre’s constraints, and have proven equally influential in the mainstream. Maybe the genre hasn’t died, but simply moved on to greener pastures? It’s worth remembering that gaming’s jump into narrative and reason is a relatively new thing; features like story and dialogue were considered secondary to the core gameplay in the majority of videogames developed up until the early 2000’s. 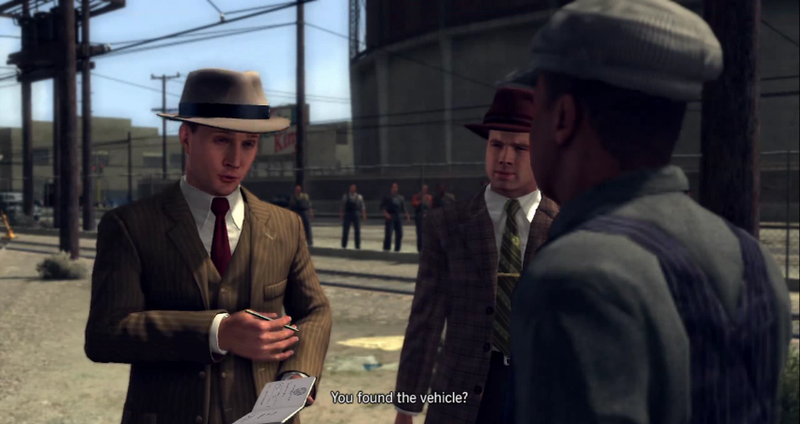 Now, however, we’re living in the age of Heavy Rain and L.A. Noire, in which even the most mainstream of games are beginning to approach narrative as a core component of the play experience. Considering that narrative has always been the adventure genre’s raison d’être, we could in fact argue that its influence is so prevalent that it would be redundant to even signify it anymore. So many games have taken cues from the adventure genre that the word ‘adventure’ means little outside of its point-and-click constraints; the genre is, in fact, too ‘alive’ for its own good. SV raises an important point, then, when he likens adventure games to literature (particularly relevant given the rush of debate surrounding the proposed ‘death of the novel’). This comparison crops up from time to time, likening the genre’s focus on narrative and dialogue to the experience of reading a book; one reliant on the power of text and suggestion rather than the explosive nature of what’s happening on-screen, and for the most part, it’s an accurate observation. Adventure gaming has always concealed a limited degree of interactivity, focusing instead on literary concepts and the ways in which interactivity can affect them. Although it’s mentioned rather negatively in SV’s article, I actually view Telltale’s The Walking Dead as a natural evolution of this approach; focusing not on the practicalities of its ‘smoke-and-mirrors world’, but instead on the effect that its subtle shifts in dialogue and narration can have on its player. 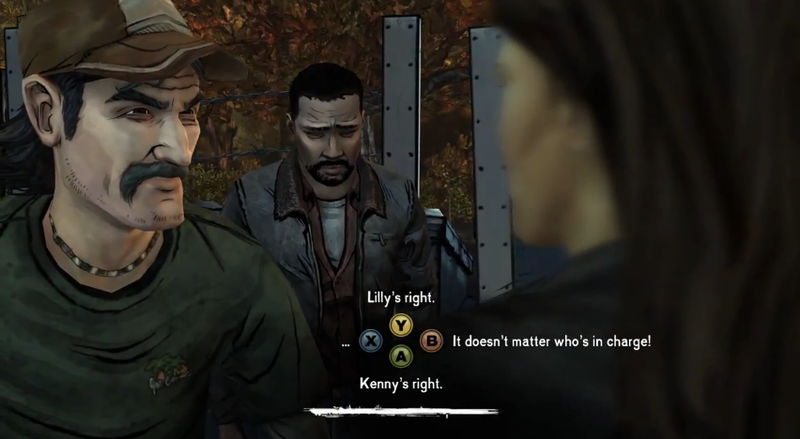 The degree to which a player’s choices can tailor and pace an otherwise-linear narrative is something that adventure games have always toyed with, and in The Walking Dead, we were given a taste of things to come, albeit in a more ‘traditional’ wrapping. Telltale’s work isn’t perfect by any stretch of the imagination, but it has managed to showcase these literary qualities that are seemingly exclusive to the genre by actively focusing on them. I think it speaks volumes that the most prominent members of Telltale are Sean Vanaman and Jake Rodkin; writers, rather than programmers or artists. This is why – as much as I respect Ron Gilbert for his work over the years – I can’t help but view his recent platform/ adventure hybrid The Cave (branded in the run-up to its release as the ‘reinvention of adventure gaming’) as a serious misstep, as it ignores the very qualities that cemented the genre in the first place. If adventure games truly are dying, then inserting a few platforms between the square crank and the square hole will hardly get the heart beating again. If anything, The Cave only showcases the disconnect between adventure gaming’s perception – as a series of meaningless tropes – and the concepts that it originally stood for – those of narrative and conceptual reasoning. The mechanics of adventure games have become institutionalised, regurgitated, and perverted; which perhaps explains why games like Amnesia and The Walking Dead – those that aren’t actively ‘adventure’ games, but instead ones based around its roots – are proving more ‘true’ under the genre’s definitions. We may not be there yet, but as the medium becomes more confident, the exchange between literature and videogaming will become more dynamic; and it’s likely to be an exchange that the likes of Telltale will spearhead. Of course, I’m willing to admit that my vision is clouded by nostalgia, so perhaps my argument is a little overzealous. 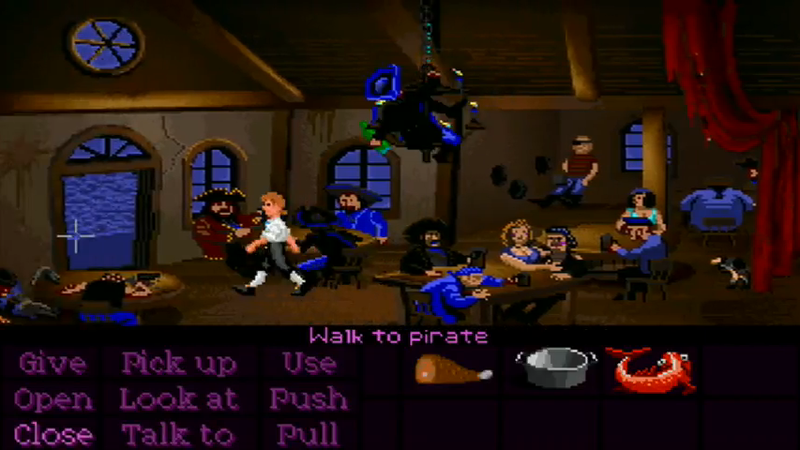 Some of my earliest memories in life are of frustration with Monkey Island 2, a problem that was only exacerbated by the lack of GameFAQs at the time, which introduced me to the murky waters of the ‘use everything on everything’ approach from a young age. 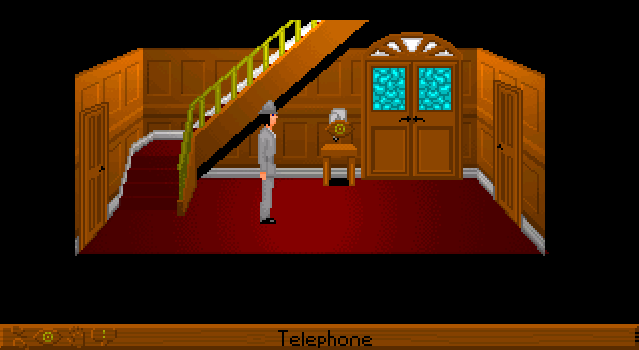 I’m all too aware of the genre’s flaws, both new and old, and I’ll admit that the point-and-click genre in particular has fallen into something of a rut, wherein the genre-defining Maniac Mansion has become gospel, resulting in puzzles like SV’s given example from Gabriel Knight 3; shameless grabs for ‘hint-line’ money that have facilitated the genre’s growth into some truly dark territory over the years. As I see it, though, the scene has spread out from its grimier routes, and arguably taken over the mainstream in a big way. The genre’s cerebral ideals of narrative, dialogue, pacing and puzzling can be seen all around us these days, and the prevailing influence of the genre’s ‘classics’ – for example, Monkey Island and Grim Fandango – ensure that its roots are never far from memory, in both spirit and execution. SV’s piece presents a compelling argument against an archaic type of adventure game – the point-and-click adventure, and as much as I love pointing-and-clicking, I’m perfectly willing to concede that I’m part of a dying breed, clinging onto memories of times passed, if just because Monkey Island looked at me nice while I was growing up. The graphic adventure is dead, sure, but only because its mechanics are actually holding back the aspects that prove paramount to the genre-at-large. The adventure genre as a whole, though, has never been more alive: it’s subtly continuing to dominate our current generation, if just through osmosis, and that’s failing to mention Telltale’s growing influence over the more ‘traditional’ side of the argument. For me, at the very least, adventure games will never die – the values that they represent are too important to the continued growth of the medium. Whether or not I’m right remains to be seen, but I’m perfectly happy to sit here with my fingers in my ears until I’m presented with a death certificate, if just because it means I can play Primordia without feeling sad. Here’s to 2013, the year of the adventure game(?). Although he made me cry, Spydersvenom also made me think – so I suppose everything balances out. Go check out the rest of his stuff here. In which – through one of the most insanely contrived sequences of events in videogaming – you had to steal hair from a cat using a piece of masking tape, which you then had to use to produce a fake moustache, which you would then need to wear in order to imitate the photo on a person’s driving license. The only problem, of course, is that the person in the license photo didn’t even have a moustache. This meant that you then had to draw your own fake moustache onto the picture with a marker, if simply to appease the cruel, cruel gods of adventure gaming. Sadly, I’m not joking. 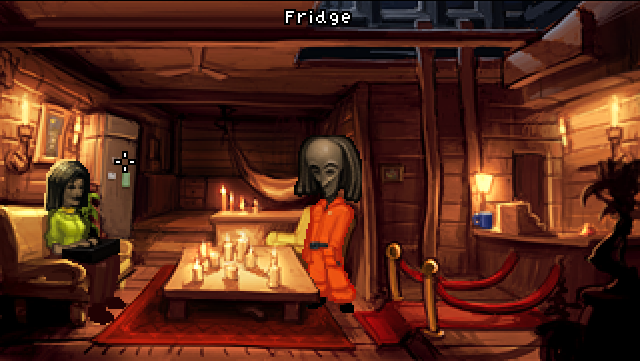 This entry was posted in Videogames and tagged Adventure Games, Amnesia, Monkey Island, Narrative, Point and Click, Ron Gilbert, The Walking Dead, videogames. Bookmark the permalink. Impressive work by all accounts. Not only do you articulate a counterpoint to my article but you do it with respect. I am a limited fan of the point-and-click adventure, although I obviously have gripes, but I think its mostly due to old age and a lack of experience from my past. Your article also has me wondering if I shouldn’t integrate contemporary titles in my editorials. I loved most modern adventure titles like Heavy Rain and the majority of LA Noire. That being said, I still take a critical (cynical?) view on these titles in the gaming medium because I contest that they aren’t necessarily games in my eyes. Either way, love the article and can’t wait to take some time and dig through your archives. Subscribed.